BIG DATA. INNOVATION. INTERNET OF THINGS. We have all heard these buzz words a million times and frequently see them make the headlines; consumers use the thing, the thing transmits data on the consumer back to the mother ship, company gathers data…but what does that company use that data for? It’s not sinister, Big Brother, or as annoying (ahem, banner ads) as many think. 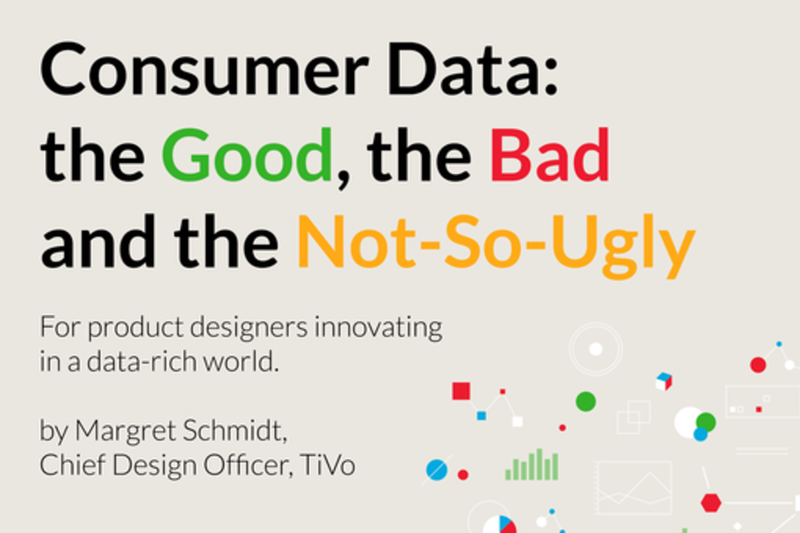 Margret Schmidt, TiVo’s Chief Design Officer and VP of Design & Engineering will openly discuss how data is used for the greater good of the end user. Technology continues to develop at a rapid pace, and ultimately our devices and the companies that design them learn more and more about us. BIG DATA isn’t the scary concept people should fear – they just need help understand the how, why and for what. At SXSWi, Margret will talk to the importance of understanding the consumer through data for good - customization, predictive content and, ultimately, a killer, beautifully designed user experience. Margret Schmidt is TiVo's Chief Design Officer, and Vice President of Design & Engineering. She is responsible for the design and development of all domestic and international TiVo products, including DVR and set-top box software, mobile and web apps, and the TiVo Service. Margret has been with TiVo since 2001. Margret holds a B.S. in Electrical Engineering and Computer Science from U.C. Berkeley. She has a 2006 Primetime Emmy® Award for Outstanding Achievement in Interactive Television, and was named one of the Most Powerful Women in Cable (Top Women in Technology) in 2010, 2011, 2012, and 2013 by CableFAX Magazine. She is a 2013 YWCA Silicon Valley Tribute to Women Honoree, and one of Silicon Valley Business Journal's Women of Influence 2013. Margret is an invited speaker on design culture & process, and TV user experience. You can follow her at @tivodesign.